Challegram to become Telegram X for Android? Telegram is a wonderful and feature-rich instant messaging application. Since Telegram client is open source, there are a lot of unofficial clients out there like Plus Messenger, Mobogram, etc. But Challegram is very different one among the unofficial clients. Challegram is super fast and looks more beautiful than the official Telegram. It uses TDlib other than MTproto. 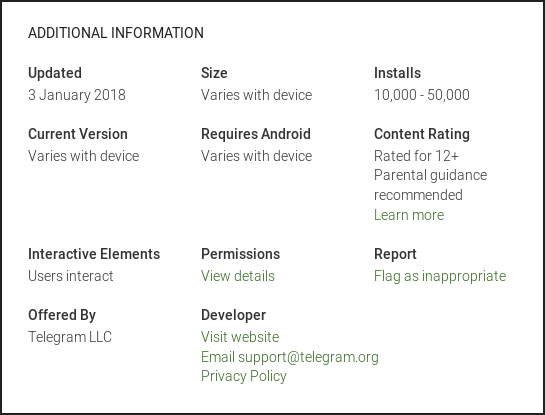 Now, according to some exclusive reports available to ibcomputing.com, this unofficial Telegram client called Challegram is going to be known as Telegram X for Android. Vyacheslav Krylov started development of Challegram at the end of April 2015 to participate in a Telegram contest in which he won the first prize. One of the best things about Telegram for Android is that it is open source and anyone can download the source code and compile it in Android Studio easily with the help of guidance provided by Telegram itself. Not surprisingly, that client uses MTProto, which is the protocol officially established by Telegram. But Durov organized challenges to create experimental applications for implementing another Telegram library called TDLib. TDLib has many advantages like not having to deal with things like low-level encryption, transport layer, local database, etc. MTProto, as mentioned before, is an encryption protocol and is used in all apps or code that use official Telegram API. With TDLib, Challegram has the potential to become the best Telegram app for Android (it already works faster in most cases than the official client, especially on old devices). But it is not yet possible to achieve those without missing some features and full local storage (TDLib caches fewer data between relaunches for now). All data transfer, file downloads, and uploads are significantly faster compared to the regular Android app. Superfast – Challegram is based on Telegram Database Library (TDLib) and optimised for 64-bit devices. All data transfer, file download, and upload are significantly faster compared to official client. Customizable – In Challegram you are free to choose plain or bubbles mode for messages, as well as color themes. Fresh and smooth – Challegram, unlike other Telegram clients for Android, is not based on an official client and has a completely new design and core. Data saving – Challegram has smart data saving options with an ability to pause all downloads when you suddenly switch from WiFi to Mobile Data or Roaming. Super secure – Challegram, unlike most other clients, uses temporary encryption keys for each connection as an additional security measure, thus enabling perfect forward secrecy for every cloud chat. Apart from the above-mentioned features Challegram aka Telegram X for Android also consists of the core Telegram benefits. Let’s look into some of the features of Telegram X for Android (Challegram) so that you can decide which one to choose – Telegram or Telegram X for Android.